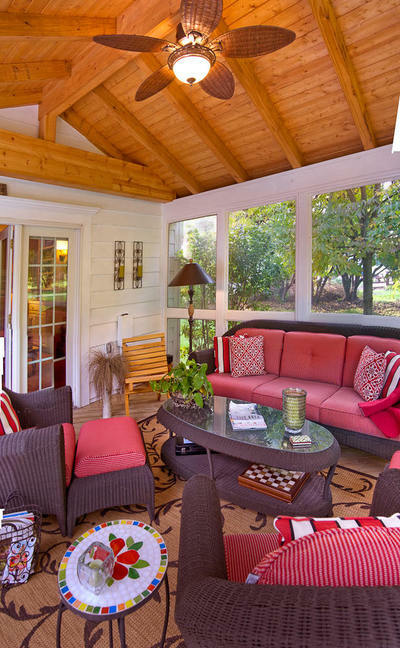 Simply put, a sunroom provides homeowners with the best of both worlds. A sunroom is an outdoor living addition that allows homeowners more versatility and a better rate of return on investment than any other outdoor room. The advantages of choosing a sunroom addition go far beyond just how it looks. The extra space is a large benefit as is the functionality and personal comfort that comes with adding a sunroom. What sets a sunroom apart from other outdoor rooms is that a sunroom is actually as much an interior living space addition as it is considered an outdoor room. Sunrooms count as heated square footage, and this means when it comes time to sell your home the value of your home will be higher with this type of interior addition. Sunrooms encompass the same structural components as any interior room addition. This includes being conditioned for year-round comfort by the presence of an HVAC system. Having a conditioned space will allow you the freedom to watch snow birds as they search for food on a cold winter’s day, and witness the beautiful fury of a summer storm while in a continuously heated and cooled space. The most wonderful part of owning a sunroom built by Archadeck of Central SC is even though your view of nature changes season to season, your sunroom conditions will remain consistent, cozy and comfortable year-round. Sunroom additions can greatly enhance your personal comfort and can add beauty and curb appeal to your home. Although a sunroom is considered a room addition because it requires a foundation and a roof, it delivers the luxury and elegance that a simple room addition lacks. A sunroom is more expensive to build than a screened porch, 3- or 4-season room, but is a cost-effective way to add square footage to your home and increase outdoor living enjoyment at the same time. Sunrooms also capture the warmth of the sun and allow you to take advantage of large amounts of natural light. These factors can create a large energy savings when compared to the energy costs associated with a regular interior space. 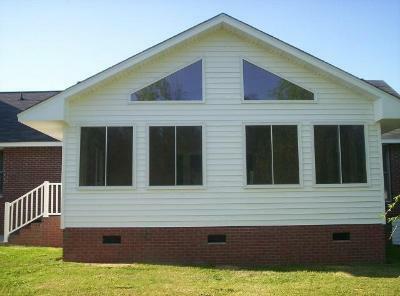 Sunroom addition in Hopkins, SC. Another benefit of adding a sunroom is the greater realm of design freedom you can use when finishing your space. Sunrooms can be Sheetrocked and painted in the hue of your choice, have finished hardwood floors or even ceramic tile. Elements normally not viable for use in an “outdoor” setting can be used within your sunroom– which opens up a broader range of lighting, accessory and furniture options to better suit your personal taste. 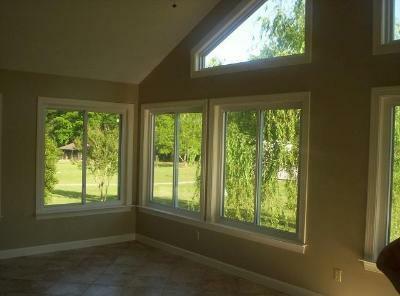 Interior view of sunroom addition in Hopkins, SC. Sunroom enclosures allow you to enjoy the benefits of the outdoors with the comfort and coziness of the indoors. All the beauty of Mother Nature appears to be close enough to touch while you enjoy space that is protected. 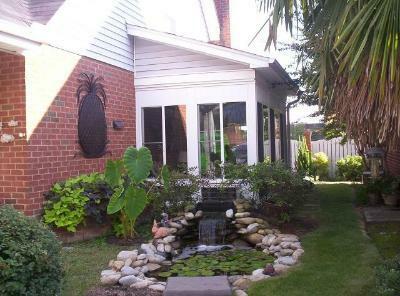 There are also endless ways you can choose to utilize your sunroom, from using it as a secondary living room or playroom complete with a TV and other creature comforts, to using it as an upscale enclosure by your backyard pool. Sunrooms can make a great spot for entertaining and dining too. The choices are only as endless as your imagination! This entry was posted in Outdoor Rooms, Sunrooms and tagged Archadeck of Central SC, Archadeck of Central South Carolina, Central SC benefits of a sunroom addition, Central SC outdoor rooms, Central SC sunrooms, Columbia SC four season room builder, Columbia SC interior sunroom addition, Columbia SC outdoor rooms, Columbia SC Sunroom Builder, Columbia SC sunrooms, Hopkins SC sunroom builder, Hopkins SC sunrooms on July 30, 2013 by archadeckofcentralsc.